Qinzhou, a city as a most convenient access to the sea in southwest China, is located at the center of Guangxi Beibu Gulf coastal area. With a coastline of 563 kilometer and an area of 10.8 thousand square kilometer, it is home to the population of more than 4 million, under its jurisdiction of Qinzhou county, Pubei county, Qinnan District, Qinbei District, Qinzhou Port Economic Technology Development Area and Sanniangwan Tourism Administrative Area. Qinzhou, backing to the mountains and facing to the sea, is very rich in tourism resources, consisting of natural tourism resources of “ river, sea, lake and islands” and humanity resources with a long history. The natural landscape in Qinzhou is dominated by the ocean scenery. It is a habitat of Chinese white dolphin. You can appreciate the colorful dolphin near the sea in Sanniang Bay. It also has the biggest inland sea—Maowei Sea in China, featuring with wide sea, quiet sea wave and the still waterways. In the matter of historical humanistic resources, Qinzhou owns millennium ancient pottery-- Qinzhou Nixing Pottery, which gained the prize of golden metal at Panama- Pacific International Fair in 1915. In addition, it has two famous historical fighures -- General Liu Yonfu and General Feng zicai, both of which succeeded in fighting against foreign invaders in modern history of China. Moreover, Pubei county, a county under the administration of Qinzhou city, won the title of World Longevity in April, 2017. Besides, Qinzhou has other titles of the hometown of dolphin, oyster, Litchi, banana and buffalo milk. 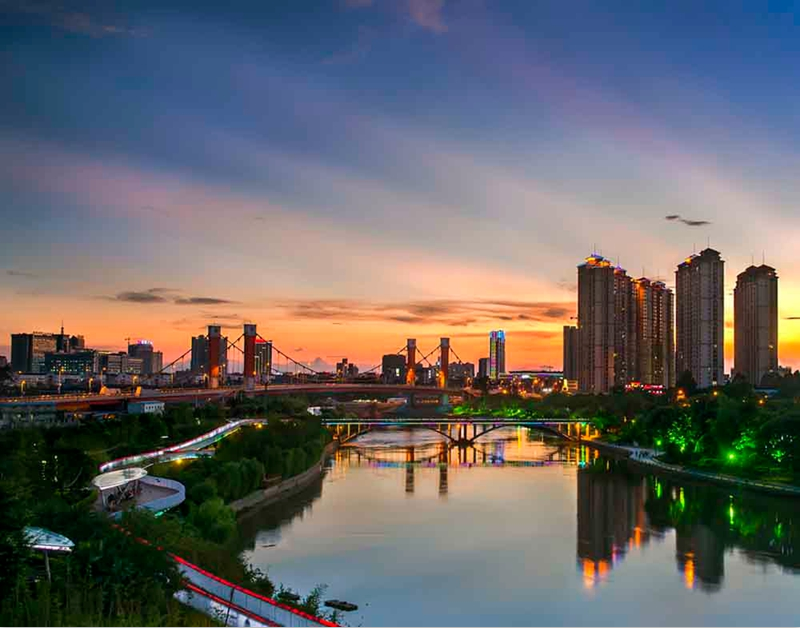 Therefore, Qinzhou is named as China Excellent Tourism City with the resources of four 4A Scenic Spots, twenty 3A Scenic Spots of national level, eighteen tourism hotels of star level and 20 farmhouse resorts and so on.